Hello Cheapo Dies Fans!! 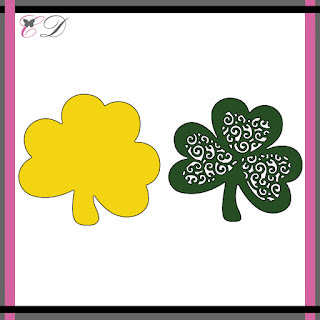 Lori here today to share a wee bit of Irish Luck!! 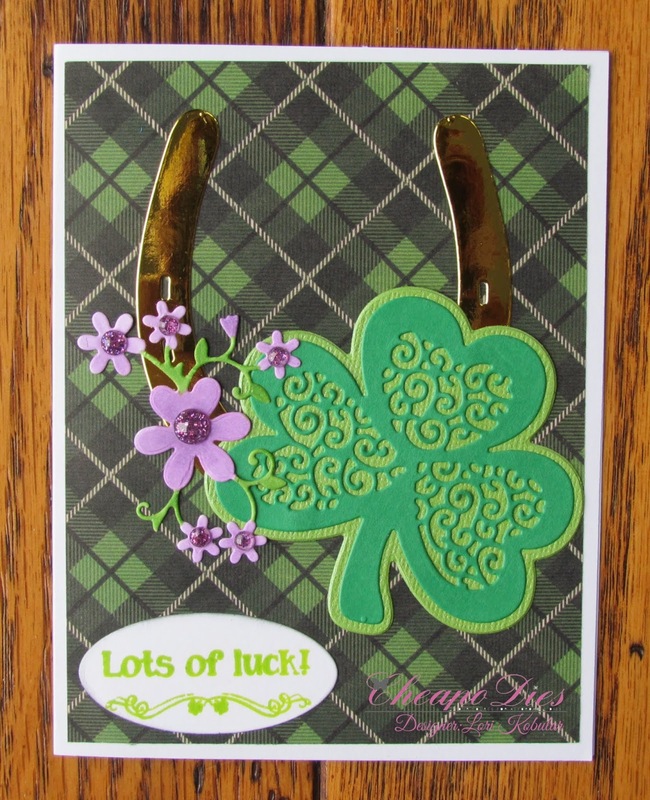 For my card I used the Cheapo Dies Lucky Horseshoe die and the Cheapo Dies Fancy Clover die set. Being of Irish Heritage, these two dies are among my all time favorite Cheapo Dies!! 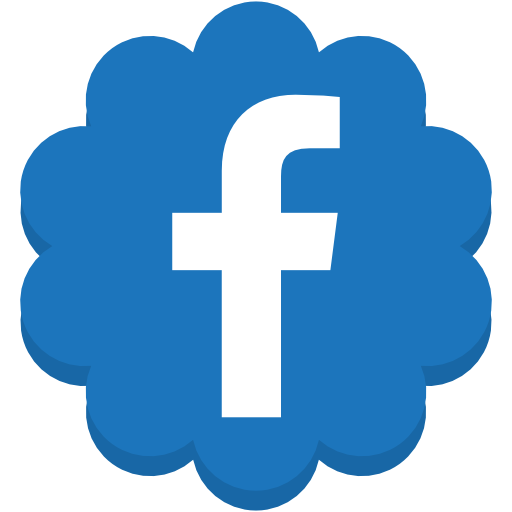 A horseshoe is considered the luckiest of charms worldwide. There are many cultures that have believed in the protection and good luck of the horseshoe and the Irish are at the top of the list! Long ago, Celtic brides would have a small horseshoe sewn into the bottom hem of their wedding gown. There is a strong Irish belief that the horseshoe should be hung upright like the letter U to collect and store the luck inside! So the horseshoe die is great for new home cards, good luck cards, wedding cards and of course Saint Patrick's Day cards! For my A2 card I started with white card stock for the base of the card. I took a piece of Irish plaid paper and added that to the card. 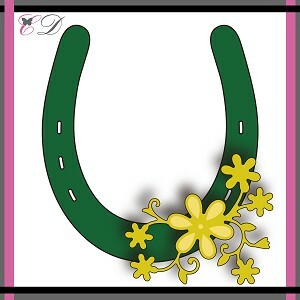 I took the Lucky Horseshoe die and some gold paper and cut out the horseshoe. I took the flowers die and some Neenah Solar White paper and cut out the flowers. I colored the vines with a green marker and I colored the flowers with the lavender marker and then put some purple gems on the center of the flowers and added that to the horseshoe. I took two different shades of green paper and the Fancy Clover die set and cut out the shamrock and added that to the card. I took some green ink, white paper and the sentiment stamp and stamped the sentiment onto the white paper and added that to the card. The horseshoe is a shiny gold but it doesn't show up real clear in the photo.